Part of the unending charm of the human-pet bond is our tolerance for all sorts of annoying, destructive, and disruptive behavior from our domesticated animal pals. Illustrator Jean Jullien captures the range of bad dog habits from stealing and chasing to begging and biting in a new card game, Dodgy Dogs. The project was created in partnership with Yolky Games, and is currently funding on Kickstarter, where it reached its funding goal in under six hours. Short Trip is an interactive illustration by Australian artist Alexander Perrin. The meditative simulation places the player in the conductor’s seat of a cross-country train, allowing the user to use their arrow keys to go forwards or backwards through the game’s peaceful black and white countryside while delivering a series of animated cat passengers. The illustrated simulation took Perrin five years to complete, from researching how a graphite-based drawing could be presented on a digital platform, to creating all the necessary components of the train’s journey by hand. His interest for this particular scenery came from riding on the Hakone Tozan Railway in Japan, one of his favorite ways of travel. 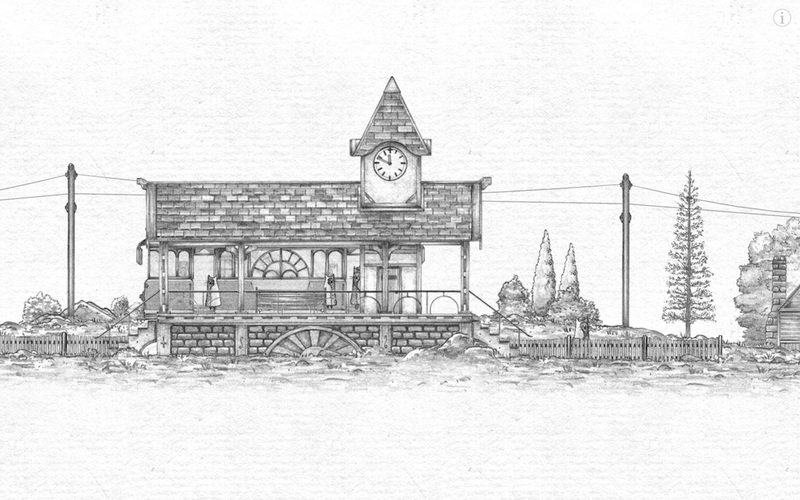 The game was built with this passiveness in mind, the only “goal” of the project to get to the other side of the railway while you enjoy the scenery and relaxing soundtrack of gentle bird chirping and cable car as it softly rumbles across the tracks. We recommend make the game full-screen with audio to get the full, tranquil experience of Short Trip. You can watch a scene from an earlier game prototype by Perrin called Noirmittens in the video below, and see more clips from his current simulator on his website and Instagram.